I’m up against a wall. I had a good training program going this spring as Katie and I were getting ready for Madison Marathon on May 29th. The miles were building on schedule and I went on the record to post some lofty goals. I’m also running to raise money for World Vision. Here’s where you can join that team! But about three weeks ago I suffered a minor injury. Working in the woods one day I slightly tweaked my ankle. By slightly I mean I hardly noticed it. But my ankles are very weak from too many basketball injuries. When I got home that night I could tell it was more than I’d thought. I couldn’t run on it. So I’ve been patiently waiting for recovery. Knowing the miles required for this race has made it difficult to stay off the ankle and wait. I could go out tomorrow and run 13.1 but it would be slow and not enjoyable. I need these miles to have a good race but the ankle was preventing that training. 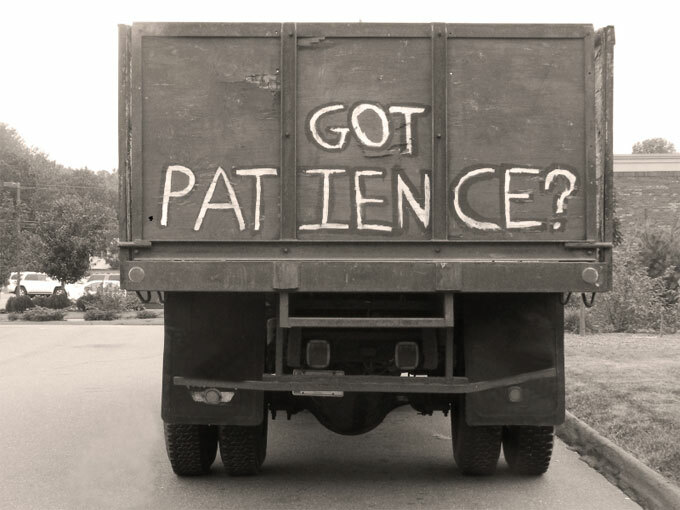 Patience was essential. Hurry up…. and wait. Last week I got out for a couple short runs to test out the ankle. Things went well, but I could still feel the ankle’s tendency to favor a certain motion. Still, I knew I had recovered and I knew the limitations of my body. I decided to join Katie for her 10-mile run on Saturday. It went better than I expected for not having run for almost 20 days. Then I’ve been out twice this week and I can already feel myself getting stronger. It’s absolutely essential to listen to your body and be smart in your training. It helps you grow more mature as an athlete and it makes the quality of your training better. And true test of will and skill often arise in the face of adversity. One of my goals this summer is to run the fastest half marathon I’ve ever run. That won’t happen at the Madison Half Marathon, but I have a few more opportunities later this year. Still, I’m running the race and asking team members to join me and donate to World Vision, a world-class organization. Please consider joining my team. This entry was posted in Discipline, exercise, Training on May 13, 2011 by Hans Schiefelbein.